Alexander White’s Autumn Winter 2018 collection walked into fashion week with determination and elegance. The British footwear line did not disappoint when it unveiled its latest designs at the Somerset House in London. 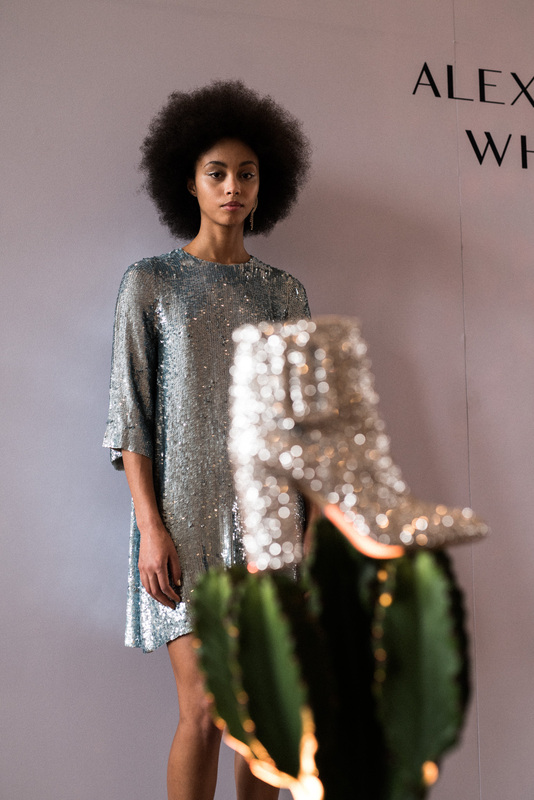 With disco balls scattered all throughout the room, and models decorated with shiny and sparkly shoes, the room wasn’t truly lit up. The shoes are elegant and comparativly contemporary. Alexander White designs were handmade by skilled artisans in Florence, and produced in London. The collection was inspired by the designer’s adventure to the United States and the infamous Studio 54. The glamour side of the New York era that was filled with sparkle and disco. In contrast to the Disco Cowboy, that brought out the playful and energetic side of the collection. Alexander White was inspired by the architecture that he has seen and by some of his favourite antique jewellery. These were collaborated to be reinterpreted in a fresh and energetic way to create a beautiful pair of pumps. In this collection, Swarovski crystals, floral prints, velvet and satin were used to create a variety of textures and shapes. As well as lurex and crepe silks.